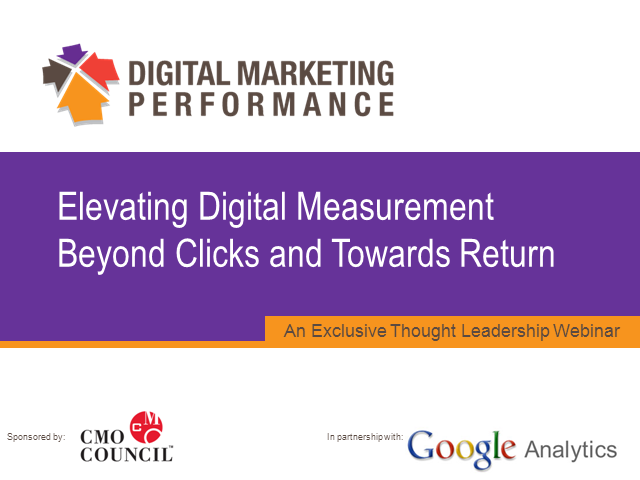 Given the significant shift and re-allocation of marketing dollars into online, mobile, social and interactive digital media channels, there is a significant need for senior marketers to better understand online performance and effectiveness measures, the relevance and value of online marketing programs, and the impact of return and spend through enhanced online metrics and analytics. Senior marketers must develop more comprehensive performance measures to map, track and assess customer engagement, experience and return on web investments. Marketers must link website and campaign analytics to get a true picture of the entire path to conversion. Megan O'Connor: Head of Digital Marketing, Levi Strauss & Co.